It’s a particularly daunting one for makers of cannabis-infused beverages, which are keen to participate in a category that researcher Canaccord Genuity Group expects will be worth $600 million in the U.S. by 2022. The best-known partnership is Constellation Brands’s 38 percent stake in Canopy Growth Corp., the largest cannabis firm by market value, for which it paid about $4 billion. Constellation’s beer business is based in Chicago. Also, Budweiser brewer Anheuser-Busch InBev has formed a research partnership with Tilray, with each company investing up to $50 million in the venture, and Molson Coors Brewing Co. has teamed up with Quebec-based Hexo Corp.
All these companies are working to develop consumer-friendly cannabis drinks that can compete with alcohol — but there’s one problem: Pot is nothing like booze. The problem of onset time (and the related problem of how long the effect takes to wear off) is one of the biggest challenges facing makers of cannabis beverages and may be one of the reasons the products currently make up a tiny portion of the overall legal pot market — less than 0.5 percent of total U.S. sales, according to BDS Analytics. 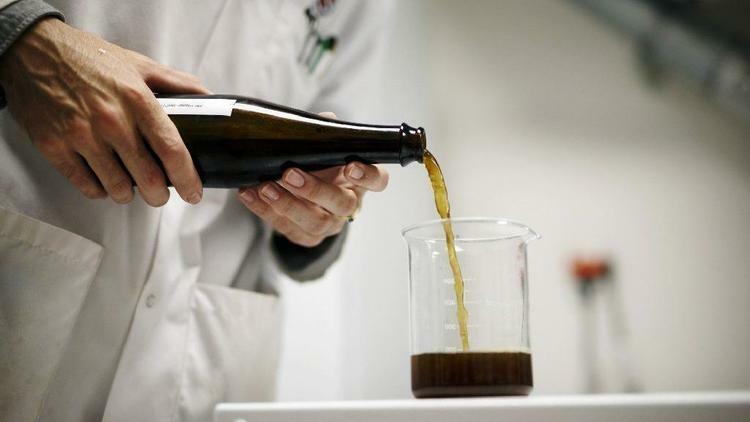 This is the process used by Cannabiniers, a beverage, technology and brand management company that owns Nevada-based Two Roots Brewing Co., which makes nonalcoholic, cannabis-infused beer. The company has also filed a patent for a second process that binds the cannabis compounds to water-soluble proteins rather than glucose molecules. Levy is optimistic about the market potential for cannabis beverages but acknowledges it’s still early days for the industry. “There’s a strong sentiment that beverages are probably going to become the leading mechanism for ingestion,” Levy says. Previous articleMan Shot Dead By Armed Robbers After Wife Flaunted Cash On Facebook. Next articleSee What A 20-Year-Old Talented Boy Constructed With Local Materials.